Death the Kid. In his пальто like his father. And is holding Patty and Liz. 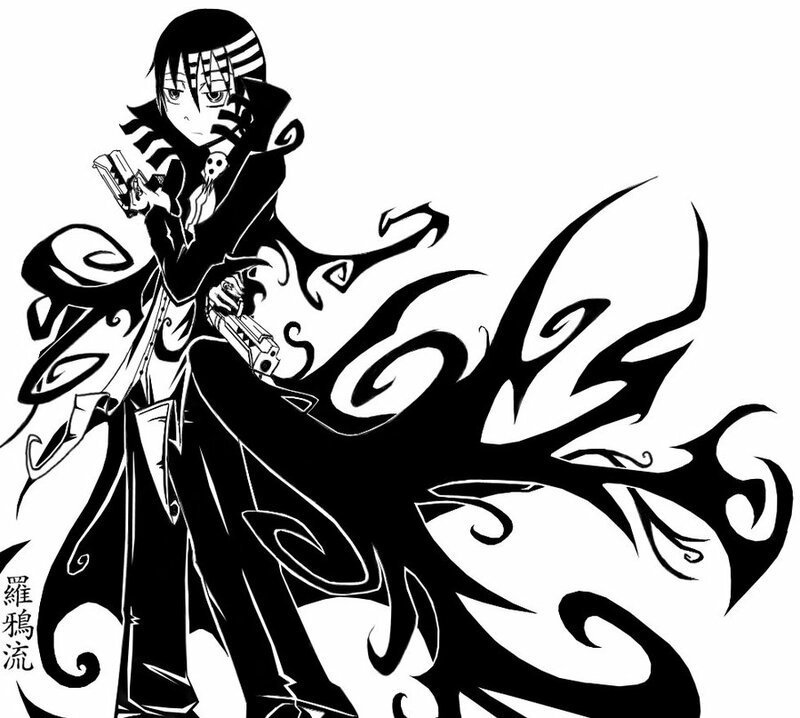 HD Wallpaper and background images in the Soul Eater (Пожиратель душ) club tagged: photo. This Soul Eater (Пожиратель душ) photo might contain знак, плакат, текст, классной доски, and доске. OMG IT'S MY SOUL EATER SENPAI DEATH THE KID!!! I'm sure he wears that a few times in the manga.